Big moments call for big performances! Last night, one of the biggest events in college football took place...the NCAA Football Championship Game. Two powerhouse schools, Alabama and Clemson met on the gridiron and in stunning fashion, gave viewers everywhere a title game to remember for years to come. While sports aren't our typical areas of discussion, we're all about celebrating the big moments that take place on universities all-around the world. 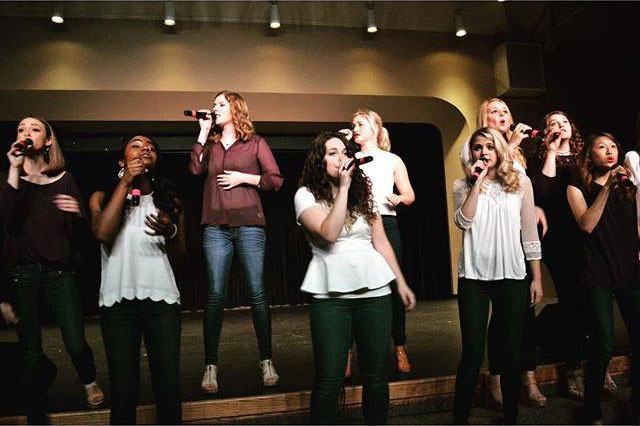 Collegiate a cappella itself has its biggest event of the year kicking-off in less than a month, and in the vocal arts community, it's quite possibly on the level of any NCAA event. Yes, we're talking the International Championship of Collegiate A Cappella (known as the ICCAs). Till then, we're sending a hearty congratulations to the Clemson Tigers, with this tribute by one of Clemson's finest (literally), TakeNote. In this lively performance, TakeNote delivers a spirited rendition of "Zero to Hero" from Disney's Hercules. The cover is full of big notes, silky smooth runs, and infectious energy, exactly what you'll find in the original.